WAG! is a fun FREE event for dogs and their favorite humans… and so much more. It’s also the biggest event in Central Ohio helping dogs in need, bringing more than 30 dog-serving rescue groups and organizations together with thousands of donors and potential adopters. Please help ensure that WAG! is back next year, with dog-serving organizations, free events, free parking, and free gifts and samples galore. Don’t Miss The Coolest Dog Day Ever! WAG! is the perfect day’s adventure for dogs and their people. There are trails to wander and lakes to splash in, where the route to activities leads past appealing booths where you can stop, shop and learn from the area’s best dog-related product and service providers. It’s FREE, fun, and family-friendly. 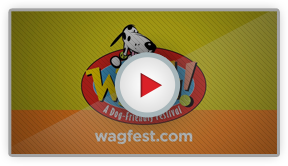 So, grab your BFF (Best Furry Friend) and head to WAG! You’ll find a day full of activities and treats for the entire family…including Fido!